SRJC President Dr. Frank Chong announced new safety measures for both the Santa Rosa and Petaluma campuses one week after a report of a suspect with a gun on campus. Santa Rosa Junior College President Dr. Frank Chong on Thursday announced new measures intended to protect the JC in the event of future armed-intruder incidents. The improvements include the installation of new locks, the scheduling of active shooter trainings and drills, the use of a new alert broadcast system, and the establishment of a standing committee dedicated to campus safety and preparedness. This should come as welcome news to anthropology instructor Nikki Slovak who presented her concerns about campus safety — including a “lack of locks on offices and classroom doors,” a need for “instant notification of crime,” and the implementation of lockdown drills — in a formal presentation to the Academic Senate on Oct. 17, 2018. Demands like hers coupled with last week’s report of an armed suspect in Analy Hall pushed the administration into action. Beginning immediately, electronic locks will be installed on exterior doors so district police can remotely lock down buildings; interior doors will see the installation of manual locks allowing individuals to secure doors from the inside. In addition to new locks, SRJC will implement an alert system called InformaCast to broadcast messages across the district, an additional layer added to the existing email and text system used for alerting faculty, staff and students individually. The InformaCast system permits visual messages be sent to a classroom’s computer screen and audio messages be broadcast to a classroom’s hard-wired phone. SRJC Information Technology installed the InformaCast system last year and ran a manual test in December, but District Police did not use InformaCast during Thursday’s incident. The JC plans to go live with the system by mid-March. According to Chong, SRJC District Police Chief Robert Brownlee and Senior Dean of Students Robert Ethington conducted a training exercise with the science department about what to do in dealing with disruptive students and what to do in an emergency. 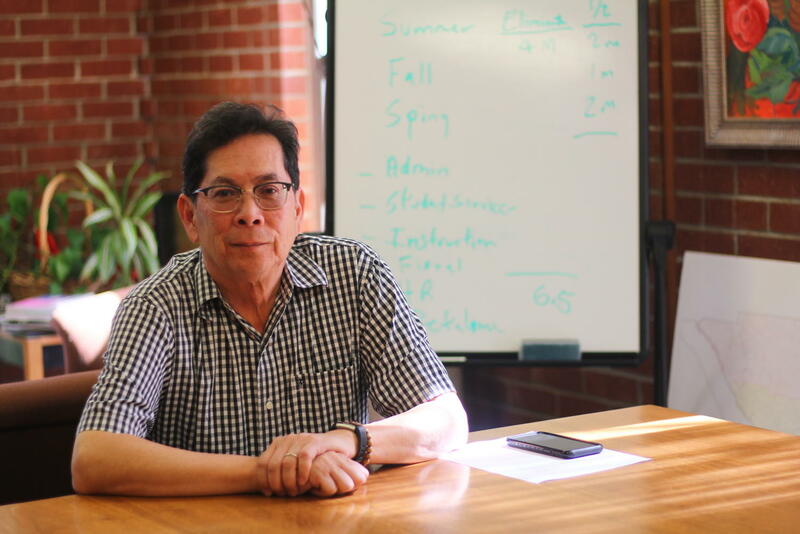 “We’re committed to systematically go to different segments of the college to educate and inform people about what strategies you need to do in different circumstances,” Chong said. But he notes that preparing students is important, too. In an effort to keep the spotlight on campus safety beyond one-time installation of locks, for example, Chong approved the formation of a Safety Work Group he said will “review the college’s policies, procedures and practices related to emergency response and safety” in an ongoing fashion. The group will include faculty, staff, administrators and students. Brenda Flyswithhawks, chair of the psychology and behavioral sciences department who is expected to co-chair the subcommittee, said the group is slated to meet twice a month, with its first meeting to be held Monday, Feb. 4. The first meeting will focus on organizing the committee and identifying its goals, although Flyswithhawks said she made clear “this is a working committee.” She fully expects each member to bring ideas and feedback and be prepared for serious but respectful discussion. The group will ultimately make recommendations to Chong’s President’s Consultation Committee through the District Health & Safety Committee; any plans could then be implemented across both campuses.